Speaking with the Press Unit in the Office of the Prime Minister earlier today, Wednesday, May 24th, 2017, the Honourable Perkins noted that this move is also in line with best regional practices. “Traditionally, that’s the way it’s been done throughout the Caribbean region. 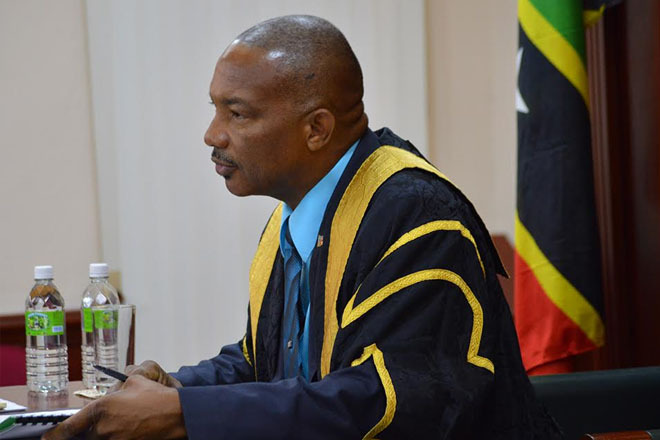 All the cases we have researched would show that the Leader of the Opposition in that [respective] country chaired the Public Accounts Committee,” the Honourable Speaker added. During the Tuesday, May23rd, 2017 sitting of the National Assembly, Prime Minister Harris disclosed that he had written to the Leader of the Opposition, requesting that he propose two nominees to be part of a five-member Public Accounts Committee. The Honourable Perkins noted that the Standing Orders of Parliament under section 70, which form part of the National Assembly Act, stipulate that there shall be a Public Accounts Committee. The Standing Orders of Parliament state that the duties and powers of the Public Accounts Committee, drawn from both sides of the lawmaking body are to; (a) ascertain that the authorised expenditure during each financial year, including supplementary expenditure, has been applied to the purposes prescribed by the National Assembly; (b) scrutinise the causes which may have led to any excess over authorised expenditure and to verify applications of savings on other authorised items of expenditure; (c) make an effective examination of public accounts kept in any Department of Government and (d) summon any public officer to give any information or any explanation or to produce any records or documents which the Committee considers necessary in the performance of its duties.